I have an affinity for tiny houses. Probably because my husband designs them, blogs about them, and talks about them non-stop. This converted bus is so beautifully done. Visit Tiny House Listings for more information and additional photos. 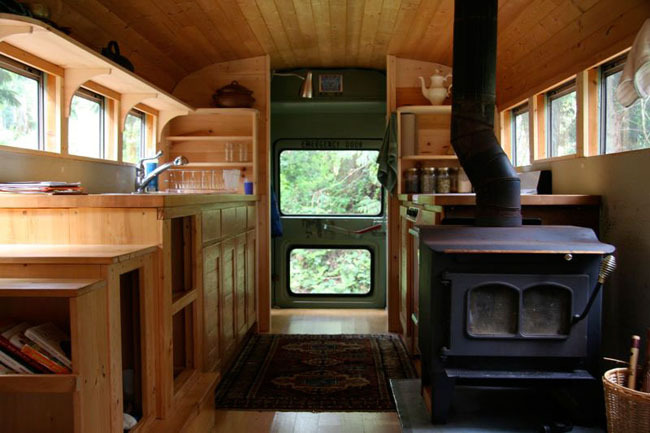 “I was recently sent these photos of an old school bus turned in a tiny house on wheels. The bus was completely remodeled and lined with a beautiful wood interior. via Old School Bus Turned Into A Tiny House.